Croatia, with its indented Adriatic coastline, is well known for its numerous islands. The islands themselves are favourite destination for many when it comes to dream vacation. Surrounded by the sea, with beautiful desolate beaches, is what makes the islands an everlasting holiday inspiration. Although the Adriatic is famous for its islands, we will introduce to you the less known island oases in Croatia. Many people have never heard of them (though we believe there are a few who have), and the islands hide beautiful natural sights and area an ideal destination for summer holiday! 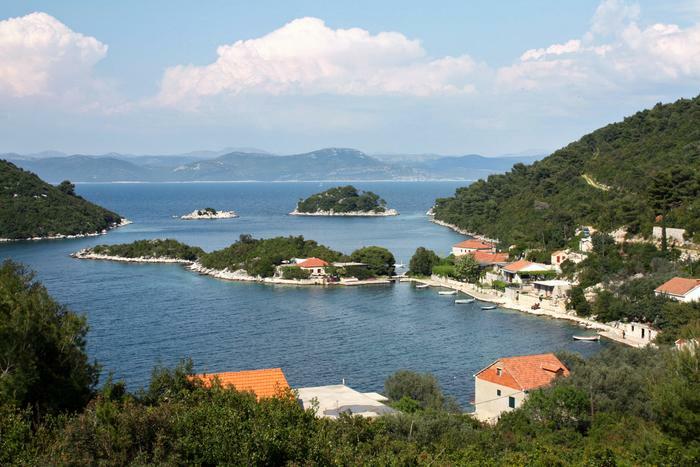 LASTOVO – an island far away from the coast, "unspoilt" with crowds, gives you the authentic Adriatic experience. The fact that, together with its islets, the island of Lastovo has become a nature park speaks enough of its natural beauty. Beautiful coves and vegetation, almost authentic experience and cuisine are a guarantee of unforgettable vacation! MLJET – one of the greenest islands in Croatia is full of fascinating natural sights. One part of the island is a protected national park where you can stay, cycle and swim in the "island lakes", and on the other part of the island there are beautiful sand beaches that await you. VIS – a former Greek colony Issa and today's island of Vis will mesmerise you with its beauty. Be sure to visit three sea caves, one of which is the famous Modra spilja (Blue cave). Vis, an island that was under military isolation for 45 years, managed to keep its natural beauties unspoilt, among which are such well known beaches as Stiniva and Zaglav. You'll definitely enjoy the simplicity and tranquillity of the local atmosphere on your unforgettable vacation. DUGI OTOK – one more island with some fascinating nature sights. On the south eastern part of the island there is Telašćica nature park with beautiful beaches and thrilling cliffs, together with Mir, one of the rare salt lakes. In addition to the breathtaking scenes on the very island, a beautiful Kornati national park is nearby. SUSAK – a very special island for the end of our list! Not only are its beaches made of sand, but the entire island as well is a sand oasis. With no roads and with only a network of sandy paths and a few connections to the mainland, vacation at this place is a real authentic experience. Holiday on Susak is without compare a special experience!